Estimated sales for * Austria, France, Germany and Sweden. ** Germany and Sweden; *** France; **** France. Source: see at the bottom of this post. 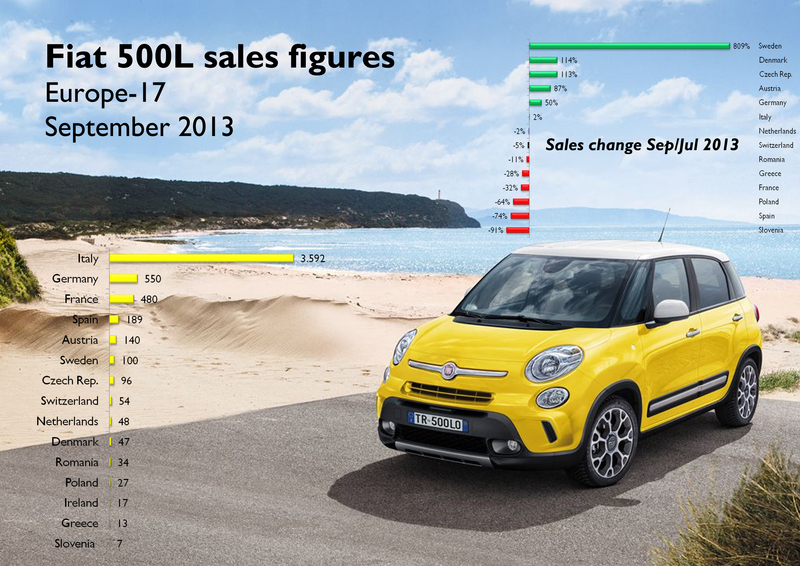 The Fiat 500L led European B-MPV market again during September 2013. Last month Fiat sold 5.400 units of its small MPV with excellent results in Italy (where the Trekking and Living versions contributed to the success). This Fiat was 1.500 units ahead of the second most popular MPV, the Meriva, which had a great month. 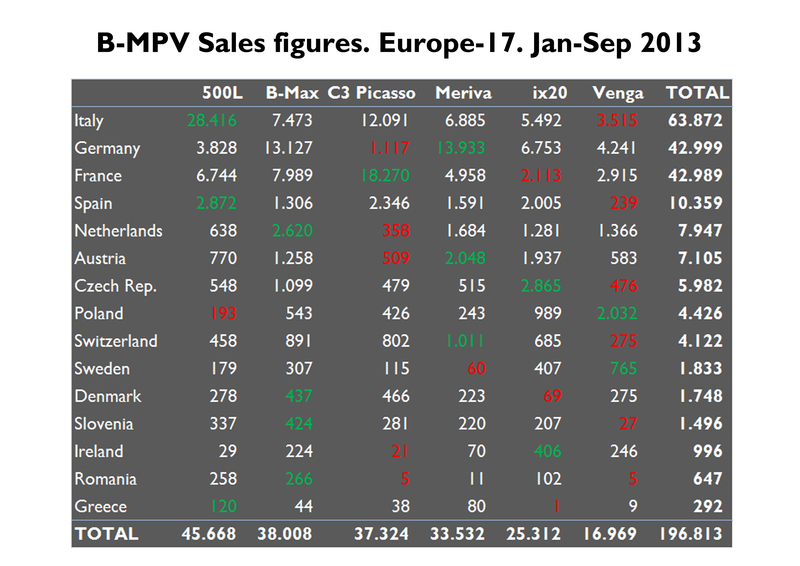 YTD numbers indicate that it is the most popular small MPV in Europe, with Italy counting for a big part of the success. The monthly trend shows that the strong dependence on Italian market is making the 500L to be more like the Panda/Punto than the 500, in terms of sales distribution. The balanced sales of the 500 in Europe isn’t the case of its bigger brother. In 2012, 29% of 500 sales took place in Italy, 23% in the UK, 13% in Germany, and 11% in France. In Jan-Sep 2013, Italy counted for 62% of 500L sales (64% of Panda sales in 2012). 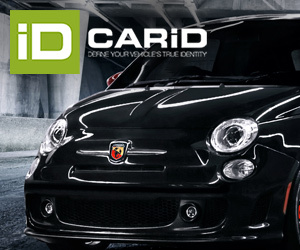 In September, the 500L was the third best-selling car in Italy and the top-seller in the diesel ranking. But it sales didn’t shine that much in France and Spain, its second and fourth largest markets. 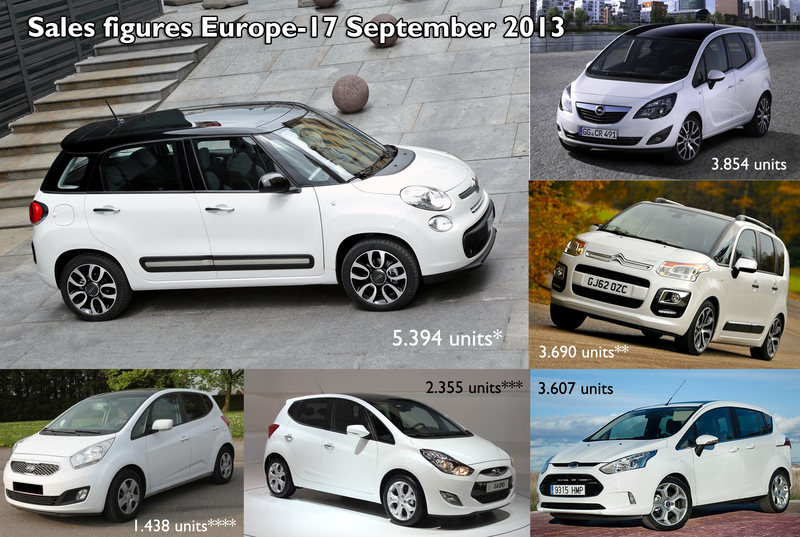 France was surpassed by Germany, while Spain was a bit ahead of Austria and Sweden, where the 500L had record months. Italy counted for 67%, Germany 10% and France 9%. Sales jumped in Sweden, Denmark, CZ and Austria compared to July figures (when sales were not affected by vacations period). Italian figures show that the arrival of the Trekking/Living may have not had the expected positive effect, and there may be a cannibalism between them. Source: see at the bottom of this post. The Meriva had a good month thanks to the results in Germany. This could be explained by the arrival of the restyling and the fact that the old ones could have been sold with big rebates. The C3 Picasso remained at third position even if the results in France were not really good (they were only 450 units ahead of Italian sales). This Citroën isn’t popular in the other markets. The B-Max, the most international among European options, fell once again and occupied the 4th place due to poor results in Germany (it was outsold by the Meriva). The ix20 leads the market if the 3 majors (Italy, France and Germany) are not included. Source: see at the bottom of this post. 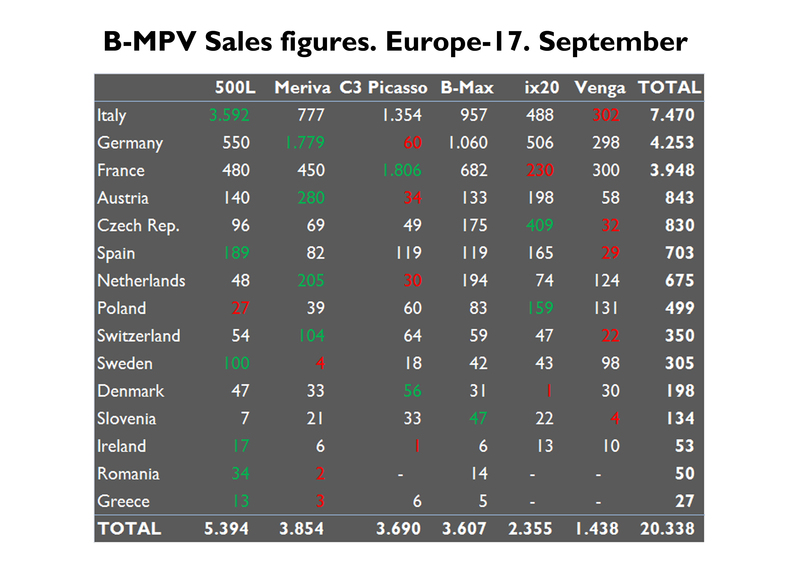 Italy is the biggest B-MPV market in Europe, then dependence on Italian market will always be strong. Competitors also register important figures in Italy. Given the UK is the regular 500’s second biggest market, and given the health of the UK market, it is possible that the UK will be the 500L’s biggest export market? Yes. Estimated sales in the UK are around 800-900 units during September. i don’t think so dvd… it’s an important segment where earlier fiat had nothing to offer… the car has nice family space inside and may be need more powerful versions… in italy the weak market has already accepted very well… but also in france, spain and uk is having some reaosnable results…. Long run if you sell in country’s with strong car culture & history, you will succeed. The Germans are to dependent on country’s yhat don’t know the difference between cars or refrigerators, I call them Lexus kind of people (east europe, china, etc. etc.) Keep calm and carry on Fiat, don’t forget your roots. Thanks Antonio. I know the 500L is doing quite good in Turkey but there is no continuity with the information so it is hard to include it.